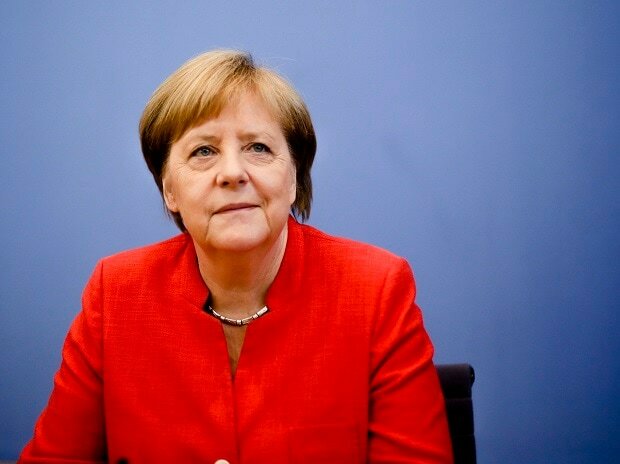 German Chancellor Angela Merkel warned Saturday that Washington's plan to swiftly pull its soldiers out of Syria risks allowing Russia and Iran to boost their role in the region. Islamic State group fighters have been boxed in to a scrap of land in the battle for their last remaining territory in northeastern Syria and their final defeat is expected imminently. "Is it a good idea for the Americans to suddenly and quickly withdraw from Syria? Or will it once more strengthen the capacity of Iran and Russia to exert their influence?" Merkel said at the Munich Security Conference. Pentagon chief Patrick Shanahan on Friday pledged ongoing backing for the fight against IS - but kept allies guessing as to how that would be achieved once US forces pull out, and won no solid pledges of support. Belgian Foreign Minister Didier Reynders said the US had told partners in the global anti-IS coalition that its soldiers would leave in "weeks rather than months". The decision has stunned allies including France, which contributes artillery and about 1,200 forces in the region, including soldiers who train Iraqi troops. French Foreign Minister Jean-Yves Le Drian asked why the US would create a vacuum in Syria that could benefit its enemy Iran, calling the approach a "mystery". A French government source told AFP it was "totally out of the question" to have French troops on the ground without US forces.